Simon Genevaz – a case handler in the merger network, information, communication and media unit of the commission’s Directorate-General for Competition, and a former head of mergers unit with France’s Competition Authority – yesterday defended both his current and former agencies’ gun-jumping decisions. The commission this year fined Altice €125 million for prematurely acting on its acquisition of Portugal Telecom. France’s Competition Authority in 2016 fined Altice for acquiring control of SFR and Virgin Mobile France before the enforcer cleared the deals. Genevaz said competition authorities run the risk of harming their credibility by not going after gun-jumping conduct. If merger control is not a “fully transparent process”, then the whole ex ante merger control system crumbles, he said. Companies want the speedy reviews and the legal security that goes with a decision, Genevaz said, but the trade off is that the system also requires the full cooperation of merging companies. “For the most part gun-jumping decisions have targeted egregious behaviour,” he noted, saying France’s Competition Authority not only fined Altice for gun jumping but also for breaching commitments. “Existing precedents do not concern companies that just missed a step, they concerned full or blatant disregard for merger control obligations,” Genevaz said. He found a silver lining for enforcers even in the European Court of Justice’s ruling in May that gun jumping can only occur when a business decision contributes to a “lasting change of control” over one of the merging companies, irrespective of that decision’s effect on a particular market. The judgment overturned a finding by Denmark’s Competition Council that the Ernst & Young/KPMG Denmark deal had violated the country’s gun-jumping laws – which are modelled on the EU’s equivalent laws. Genevaz said the Ernst & Young case recognised that, contrary to Advocate General Nils Wahl’s opinion, the companies had standstill obligations to ensure the effective control of mergers. ECJ advocate general Nils Wahl had opined the conduct was not gun-jumping under EU law. Answering a question from the floor, Genevaz said the use of derogations could be warranted as a way for companies to protect themselves against gun jumping allegations. Under EU merger regulations, the commission may grant an exemption from gun-jumping obligations “on the basis of a reasoned request”. The commission granted such a derogation last year, allowing airline Lufthansa to complete its takeover of the insolvent Air Berlin subsidiary before it was declared compatible with EU laws. “I don't know if there is scope for it to be used more widely, but it goes to a proactive reaction of companies to come forward to the agency to explain what they intend to do, and if the circumstances for a derogation are warranted, then yes for sure” they can be used, Genevaz said. 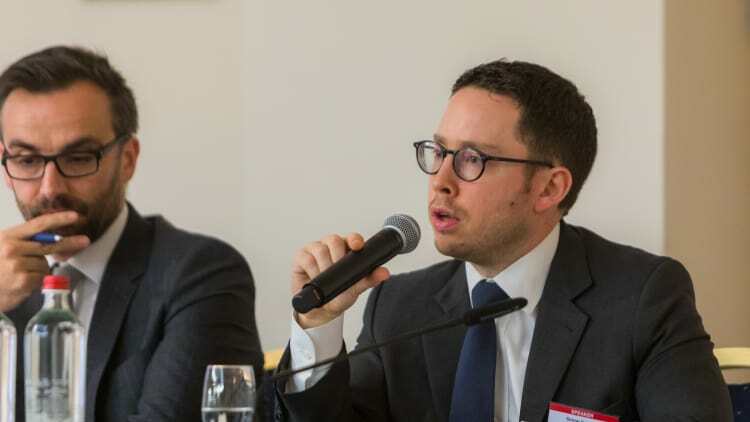 He spoke alongside Bennett Jones partner Melanie Aitken, Shearman & Sterling partner James Webber, and Freshfields Bruckhaus Deringer partner Alastair Chapman on a panel moderated by Slaughter and May partner Anna Lyle-Smythe. GCR Live Brussels concluded yesterday.